Welcome! 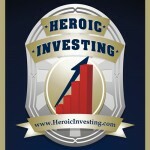 If this is your first time visiting Jason Hartman's website, please read this page to learn more about what we do here. You may also be interested in receiving updates from our blog via RSS or via email if you prefer. If you have any questions about first responder finance feel free to contact us anytime! Thanks! 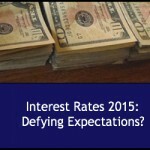 Interest Rates 2015: Defying Expectations? For the past year or more, experts in finance and real estate have watched the movement of interest rates with a wary eye. 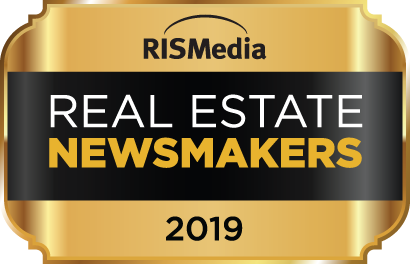 Now, as a new year opens, those experts are weighing in with predictions about what investors can expect in the coming months- and years. And they’re basing their predictions on some surprising global and domestic trends. Lower interest rates have traditionally been a way to boost the US economy. Low rates mean more buying, a key ingredient to keeping a consumer economy humming. When rates rise, borrowing slows and so does the economy as a whole. That’s why low rates have been a key to the recovery of the housing market in the years since the catastrophic housing crash of 2008, when runaway lending to unprepared borrowers created conditions that led to massive numbers of mortgage loan defaults and foreclosures. The nation spiraled down into deep recession, and the Federal Reserve stepped in to stimulate growth by manipulating interest rates. The Fed’s plans involved as series of interventions termed “qualitative easing,” which involved large scale buyups of various bonds and securities backed by mortgages. The last and most ambitions of these, Qualitative Easing 3, called for the purchase of $85 billion in mortgage-backed securities every month until further notice. The plan was intended to help banks make loans at lower rates, and rates did in fact stay low – reaching historically low levels of 3 percent and even less between 2010 and 2013. Those rates encouraged home buying and put loans within the reach of many new homeowners. But because those rates were being artificially maintained, the writing on the wall seemed clear: as soon as the Fed closed out the stimulus, rates would shoot up again and borrowing would slow down. As the Fed began hinting of a draw down in the stimulus starting in 2014, market watchers worries about a steep rise in rates once the artificial constraints were removed. As the economy overall began to show significant gains, the “taper” of QE3 began in earnest in the fall of 2014, and rates did rise somewhat as market forces began to take over. But as a new article from Business Insider points out, financial experts and Wall Street insiders have been predicting a major rise in rates for the past several years – and they’ve been wrong every time. Will they be right in 2015? Probably not – and as Business Insider points out, there are some surprising reasons why ranging from factors here at home to economic crises abroad. The Fed’s response to current economic conditions an changes in the nations’ consumer sectors will likely continue to play a role in the movement of interest rates even though the stimulus continues to taper down. Fed Chair Janet Yellen and her Central Bank colleagues continue to take a wait and see approach to raising rates. In the waning days of QE3, the Fed reserves the option of kicking the stimulus back into higher gear if necessary to avoid a major economic slowdown. Conditions abroad may help keep rates low, too. Russia faces a major money crisis, as the ruble falls in value and dropping oil prices plus the ongoing crisis in Ukraine cause turmoil in international relations and world money markets. Russians are flocking to US dollars for safety and investing outside the country whenever they can. Russia is not the only country facing a financial crisis. Other European countries are struggling with their own debt issues. Greece, for example, faces more instability as it attempts to restructure its debt. And as in Russia, those difficulties could mean a rush to the safety of US bonds, banks and other investments. The state of energy prices is also expected to play a part in the behavior of interest rates. Lower energy prices could slow inflation and raise the specter of deflation, another factor in holding rates down. And changes in the overall health of the economy, such as a slipping employment picture, could also affect how rates behave. Interest Rates are Rising: What Happens to Housing? How Do Bond Rates Affect Mortgage Interest?